Aishwarya Rai attended the glamorous wedding reception of Genelia D'Souza and Riteish Deshmukh, on Saturday (4th Feb 2012) evening. 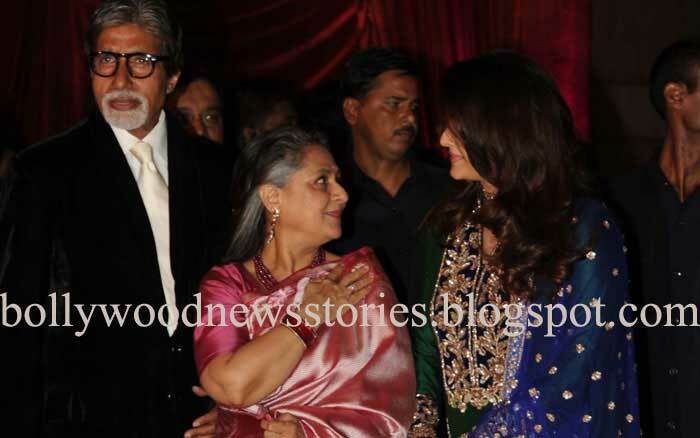 Aishwarya Rai was accompanied by her parents-in-law Amitabh Bachchan and Jaya Bachchan. 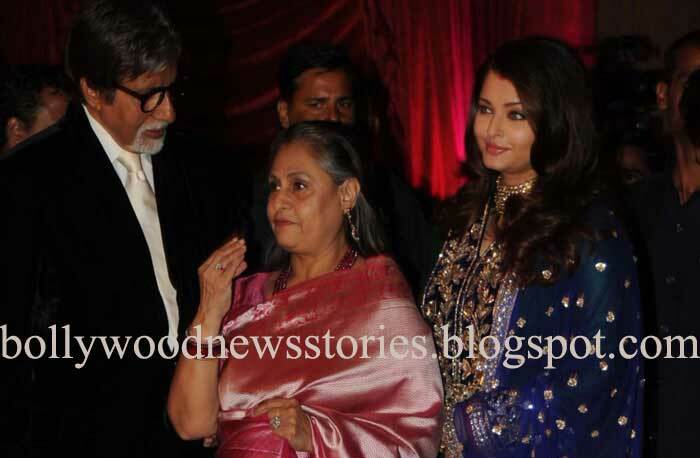 The occasion marked one of Aishwarya's first public appearances since giving birth to her daughter - the still unnamed Beti B in November. 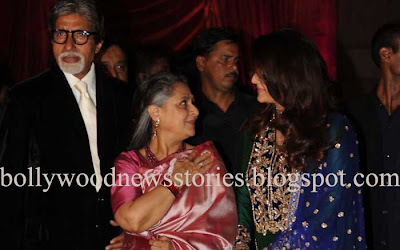 Amongst the Bollywood crowd famous names in attendance included Imran Khan, Kareena Kapoor, Arjun Rampal and Bipasha Basu.